Our panel of experts discuss some of the main problems that are troubling modern-day contact centres. Attrition has always been a big problem in contact centres. Recruiting quality advisors is difficult, and retaining them can be just as hard. It’s not uncommon for managers to spend time and money training new advisors, only to see them leave one year later. Improve advisor scheduling: employees today are looking for flexibility and availability to help meet their busy and complex lifestyle schedules. Work–life balance is not easy to achieve, but with a workforce management (WFM) self-service toolkit, advisors can take control of their work patterns while still meeting business requirements. Allowing top performers to pick and schedule their own shifts can be used as a performance incentive as well as increase overall advisor engagement in the workplace. 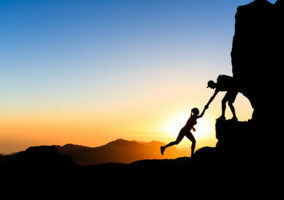 Continuous advisor training: personal development is always a high motivator and looking for ways to enhance your advisors’ skills is not only beneficial to the advisor but also good for the business and the customer. In order to assist with training, contact centres can use quality monitoring tools to help identify areas for improvement. Investing in a solution capable of easily retrieving and playing back calls with ‘anomalies’, such as call handle times being longer or shorter than average, is useful in supporting advisor training. Contact centres often have issues with reducing the amount of background noise. Firstly, sound literally bounces around busy, open-plan offices, and, when many advisors are on the phone, it’s often difficult for them to maintain concentration and focus on the call they’ve been assigned. Corded headsets are still the mainstream choice of headset by a substantial proportion of modern contact centres, therefore, even if advisors want to leave their desks and find a quieter spot to give their undivided attention to the customer, they aren’t able to do so. One of the ways in which contact centres can address this is through technology. The headset can play an important role in supporting the reduction of background noise, which will translate into providing customers with a higher quality call experience. Contact centres are often their own worst enemy simply because they overlook the basics of running a successful operation. Knowledge is a prime example. Advisors are often thrown in at the deep end without knowing where to find essential product knowledge to handle simple enquiries. When this happens, customers are at a loss to find the information they need to buy something, and they get frustrated. Managers should instil a network-sharing culture, while empowering frontline advisors with access to up-to-date FAQs and encouraging them to share learning with colleagues via online forums. For advisors, it all comes down to training. Managers should instil a network-sharing culture, while empowering frontline advisors with access to up-to-date FAQs and encouraging them to share learning with colleagues via online forums. Also, try to give advisors the right tools to do the job. Integration is key. Linking with CRM and other business systems means advisors have the right information at their fingertips, without needing to switch between applications. For more on creating a network-sharing culture, read our article: What Is the Best Model for Contact Centre Culture? Historically, most contact centres were set up in a similar way, with the same kinds of lines of communication and advisors with similar skill sets doing similar kinds of jobs. But the industry is changing and customer service is becoming a competitive differentiator, meaning that classic contact centre metrics like AHT are becoming increasingly outmoded. Time is always important and customers clearly want effortless service, and to get from A to B as quickly as possible. However, if they are just using metrics like AHT, businesses are not effectively measuring how their customers are feeling, how loyal they are likely to be in the future and how emotional they are. Contact centres need to reconsider the metrics they use and see if they reflect their preferred business outcomes. That emotional element is especially important when thinking about those interactions that fall outside the normal automated channels, as is measuring customer loyalty. So, contact centres need to reconsider the metrics they use and see if they reflect their preferred business outcomes. Businesses are investing more in automated self-service to empower their customers to do more routine, straightforward interactions themselves over channels like interactive voice response (IVR), webchat, and text message. The challenge for businesses is where they draw the line between automated and manned; and there is no easy answer. Typically, it depends on the product that the business is offering, the service it is providing and the price point at which it is providing it. Most of all, it depends on the customer journey – the channels through which customers are looking to interact with the organisation. Only when a business understands all this can it start putting in place a customer service that strikes exactly the right balance between self -service and human interaction. 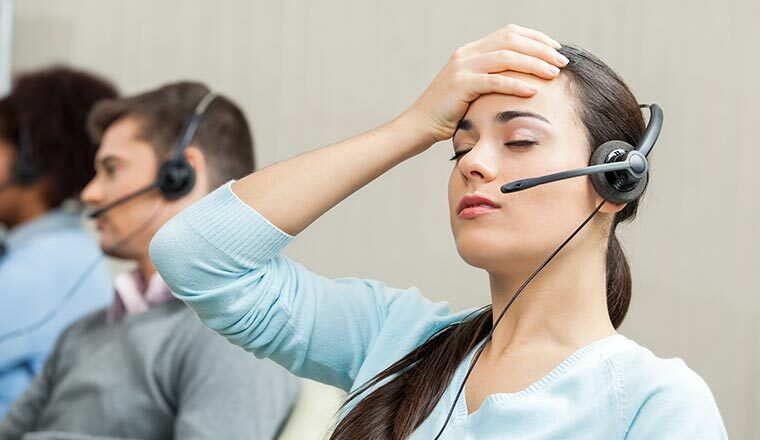 A major cause of frustration for customers is being transferred from one contact centre advisor to another because they have got through to the wrong department. By connecting callers to the most appropriate member of the team, contact centres can drive down Average Handling Time (AHT), increase first-call closure rates and boost the number of overall transactions completed, all within the same resource pool. Solutions like West’s Cloud Contact Pro allow contact centres to assign skills to each advisor based on criteria such as language fluency or product knowledge, or even across campaigns. This ensures that customers are greeted by the most qualified advisor for the call. These routing solutions also allows the contact centre to assign and update advisor skills in real time, with each advisor servicing up to 100 different priorities between them at the same time. The growing number of online, self-service channels presents a unique challenge for contact centre operators. While voice remains the most prominent channel today, new platforms like live chat, social media and video chat will not only mean extra channels for the contact centre to manage, they also make the roles of advisors and managers more complex. Also, as new channels become more widely used, contact centres will find it useful to integrate the data from previous interactions on these outside platforms. So, contact centres will then become more likely to invest in technology and tools that integrate data from these new sources with their own enterprise systems, to give a single consolidated view of the customer. Another challenge that comes with this is recruiting the right people. The increasing complexity that comes from the growth of new channels means attracting and retaining the right people who can help the organisation manage and take advantage of the changes facing the industry. One of the biggest challenges for contact centres is providing effective and tailored behaviour coaching that addresses the specific needs of individual advisors on an ongoing basis. Some studies suggest that “continuous, ongoing coaching” is the direction most companies want to go, but in practice, most supervisors don’t have the time or resources to continuously coach every employee. One way to solve this problem is with adaptive technology. This technology can provide tailored performance insights directly to employees, in near real time, based on trends and growth opportunities specific to each individual. The technology is becoming increasingly more sophisticated at identifying employee character traits, meaning that coaching becomes more targeted and engaging. Making decisions about performance based on listening to a small number of random calls, or reviewing random interactions, can elicit a negative response from the team. Traditional approaches to performance management can leave advisors feeling treated unfairly. This is because making decisions about performance based on listening to a small number of random calls, or reviewing random interactions, can elicit a negative response from the team. It is likely that advisors will think that this random sample is not representative of their whole performance and therefore, that any assessment is not accurate or fair. This sense of unfairness will be compounded, if they receive coaching for this perceived weakness. Advisors feeling unfairly treated can really hurt a business. Not only will it not get the best from advisors, but it also runs the risk of creating a reputation of advisors being treated unfairly. This will damage your capability to attract the best talent. So, it’s important to run regular calibration sessions, which advisors can be invited to join. Or, to go one step further, employ interactions analytics to assess an individual’s performance based on 100% of their interactions. Without having a customer feedback mechanism in place, it’s not possible to truly understand customers’ behaviour and preferences. Insight is needed to pinpoint why customers are dissatisfied, and feedback should be taken at every part of the customer journey, to ensure a positive customer experience. However, contact centres must be wary of survey fatigue, as asking too many questions of callers is a key source of customer frustration. So, it is advisable for contact centres to monitor the number of times they are surveying customers. Alternatively, the contact centre could deploy an interaction analytics platform to identify words, phrases and acoustic qualities that trigger negative reactions, to bypass the need for so many surveys. Keeping advisors motivated maintains high levels of customer service while minimising attrition. But how can a contact centre vary the work an advisor is expected to do, when the very nature of an advisor’s job can be highly repetitive, handling the same customer queries over and over again? Is technology both the culprit and the answer here? Before recent advances in blended multimedia systems, it used to be argued that call centre advisors could be trained to run just a few basic activities. Maybe they were chat specialists or just good with voice or mail. This argument has always reflected the fact that software just wasn’t up to allowing advisors to work across many media types concurrently. Consider how everyone, young and old, has adapted to the communication opportunities brought about by smartphones. SMS, email, video, voice, chat – you name it, we have all adopted these means of communication enthusiastically. So, next time someone casts doubt on the ability of advisors to have a richer working life by embracing the full range of multimedia options at the disposal of the call centre, just think smartphones! Also, let’s look to a world of advisors in contact centres who can deploy a wider range of skills and get more job satisfaction in the future. Year-on-year, budgets seem to get tighter but demands from both the business and customers require that we achieve more. One way to maximise resources would be to automate communications to reduce the workload and allow contact centre staff to focus on the key tasks. This might include putting a message on the IVR that encourages queueing customers to self-serve for simple transactions. Optimising desktops – provides quick access to the right information on a simplified system. Customers are doing simple transactions online now, so calls are often about more complex issues. Couple this with customers who are more likely to complain, and it’s clear that advisors need to be better prepared than ever before. So, ensure your voice menu is helpful (not convoluted!) and perhaps even try to use skills-based routing to direct each customer rapidly to the right person to address the issue. When dealing with more complex issues, calls can be made easier with visual call-flows to prompt the advisor to include key messages in the conversation as well as stay compliant. In addition, to check what was said during a call – or written online – call and screen recording is invaluable, as you can listen or look back at each record quickly. This can help with adjusting scripts and training staff, as well as checking your facts when dealing with a complaint or complex issue. The modern contact centre is faced with not only multiple inbound communications channels used by customers but the challenge of several internal communications channels and sources of information which aren’t connected to one another. For advisors, this is not only clunky and hard to use but the lack of linked-up customer data means customers can get passed between multiple different advisors before their call is resolved. By integrating your contact centre seamlessly with the rest of the business, the contact centre can unify all communications into one system that’s easy to manage, which improves the experience for the customer by speeding up call resolution. What other challenges have you faced in the contact centre? And what solutions have you tried to overcome them?